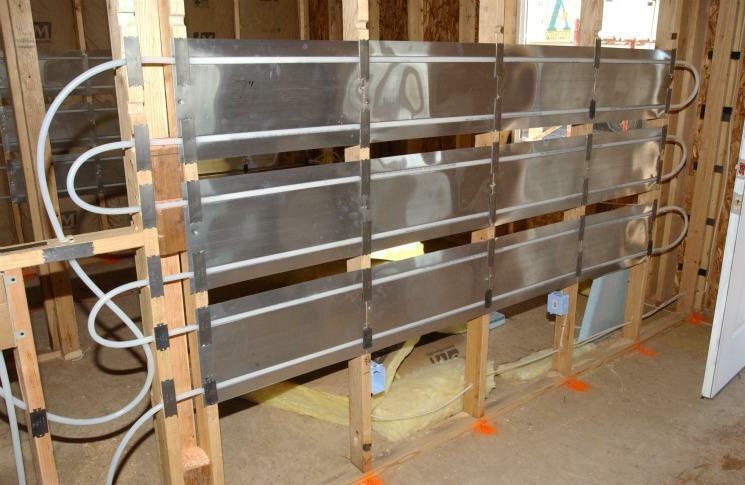 Radiant heating systems supply heat directly to the floor or to panels in the wall or ceiling of a house. The systems depend largely on radiant heat transfer — the delivery of heat directly from the hot surface to the people and objects in the room via infrared radiation. Radiant heating is the effect you feel when you can feel the warmth of a hot stovetop element from across the room. When radiant heating is located in the floor, it is often called radiant floor heating or simply floor heating. Geothermal energy is right under our feet. The earth’s core is like an inner sun, heating the earth’s surface and warming the water and rocks beneath. This steaming water and rock can be used to generate heat and electricity. The uppermost six miles of the earth’s crust alone contains more energy than all the oil and gas reserves in the world. 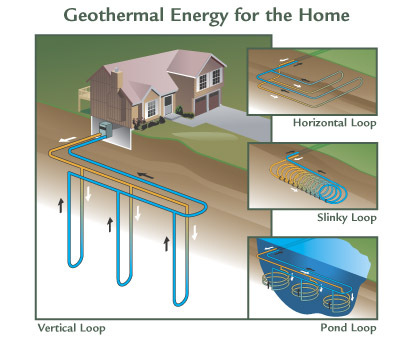 Geothermal resources are considered base load meaning they are available 24 hours a day, 365 days a year. The United States leads the world in terms of installed geothermal electricity capacity and generation, with most of that power installed in California. While U.S. geothermal energy generation has remained relatively stable from 2000 to 2008, the past two years experienced more than 3 percent growth. The U.S. Department of Energy estimates that geothermal power plants can provide15,000 MWs of new capacity within the next decade. The most common form of geothermal power plant, a flash steam plant, uses water at temperatures greater than 360°F (182°C) that is pumped under high pressure to electricity generation equipment at the surface.